Government can actually help the economy - if it wanted to. As we've pointed out earlier, the government gets a piece of everybody's action through taxation. One way for government to get more tax revenue is to help businesses generate more action. We believe deeply that there are many things which government ought to be able to do to benefit society at large. Unfortunately, our bureaucracy has become so complex and the number of special-interest groups have multiplied to the point that we have gridlock pretty much everywhere. Any group can say "no" to a project, but nobody can say "yes." This makes it difficult for any business to invest in anything major. In order for a major project like the Boston Big Dig to get off the ground, many interest groups have to be paid off in various way which pushes up costs. People who are well-off don't depend on government benefits. People who support themselves don't like paying taxes and won't vote for politicians who promise benefits because they know who pays. People who collect benefits vote for politicians who promise more. So a politician either wants to expand the economy or he wants voters to be dependent. The deciding factor comes to whether his constituents are mostly people who believe that everyone ought to support themselves or are mostly people who believe that the government should take care of everybody. This series examines ways the government ought to be able to help the economy - assuming that politicians want the economy to grow and assuming that the government is able to do what the politicians promise. Later essays in the series will discuss individual possibilities in detail. I spent a year or so working in New York City some decades ago. As I wandered around every weekend, I noticed that the public infrastructure wasn't very well maintained. I remember thinking, "Modern New Yorkers lack the wit to maintain what their ancestors built." As I got older, I learned that many, many forces have sprung up which make life difficult for anyone who wants to build or repair anything. We have historical preservation, environmental impact, rent control, litigation, scads of permits and inspectors, community focus groups, and a host of other obstacles. I now understand what's really going on. New Yorkers aren't dumber or less ambitious than their ancestors, they've simply tied themselves up in too much red tape. Whenever I go back to New York after a long absence, I can see how the red tape has grown while I was away. Our article on the Confucian Cycle draws from a pattern that has played out over and over throughout human history. When governments are founded, there isn't much bureaucracy so it's possible to get things done. As bureaucrats and other interest groups multiply, however, it becomes more and more difficult and more and more expensive to make anything happen. Finally, there comes a point when government becomes so expensive that the society can't support it any longer and the civilization collapses. Part of the purpose of this article is so that you'll think, "Can the government really do that?" whenever politicians promise to do something. I used to think politicians lied all the time because as far as I could see, their programs never worked. Then I decided that most of them actually think that their programs have done some good. Senator Kennedy and Hillary and all the other big-wigs have found that government takes care of them very well. It's only at the bottom of the pile where normal people like you and I deal with government that its inadequacies show. I now believe that our politicians have insulated themselves so carefully from real life with limousines, wonderful pensions, high salaries, private jets, free medical care, and staff that they actually think that their programs are working. Take Hillary for example. Is she even aware that an MIT study has found that government-run foster care is far worse for kids than being left in dysfunctional families? If she knows that, she certainly hides it well when asking child "protection" workers for their votes. One would note that these studies never seem to make their way into her various books and lectures on how "it takes a village". It is vitally important for voters to understand this distinction. There is a magnificent difference between a politician being overtly deceptive and being simply stupid. Bureaucracy, over time, makes politicians one or the other, and in some cases both. But in identifying defunct government processes, the difference between the two can provide a vastly different solution. Whenever a politician proposes something, stop and think how well other government programs have worked. The purpose of this series is to discuss the actual outcomes of a lot of government spending so you can make a realistic assessment when a politician reaches into your wallet. Educated people work more efficiently than ignorant people, but for education to increase economic efficiency, it must have some practical application. Unfortunately, the American educational system has been hijacked by academics who'd rather write papers or socialize kids than teach. Education gets an entire article in the series. Healthy people work more efficiently than sick people, and people who live longer pay more taxes than people who die young. Investments in public health such as sewers, hygiene, vaccination, and such improve economic efficiency. Our health care system works so well that people live many years after retiring; retirees who collect their pensions longer increase social overhead. The solution to the retirement crisis is to raise the retirement age, but that's a subject for another article. We already addressed the massive, overriding problem and a secondary problem in health care. Suffice it to say that government bureaucracies always get more expensive and less effective over time because there is no way to make government employees work hard. Private businesses can go bankrupt which is why American small businesses provide so much economic growth and so many new jobs. Big companies such as GM are far more like government than like small businesses. The last thing we want to do is introduce government-style inefficiencies into health care on top of the government-mandated unnecessary costs we already have. Setting sensible technical standards boosts the economy. Requiring that GE light bulbs work with anyone's sockets improves efficiency. Years ago, each electric company had their own proprietary standards for bulbs, appliance plugs, and even for voltage. You can imagine what that did to the prices customers paid. It's important to be sure that nuts bought in one part of the country fit bolts bought elsewhere, that screws make in California fit screwdrivers made in Maine, that coffee makers will work anywhere in the country, and so on. There are two basic ways to set standards - have government committees write standards into law or have private organizations agree on standards. Depending on the industry, the United States uses a mixture of both methods, which work sufficiently well that few people even think about them anymore. Regulations can increase efficiency, but they usually trade efficiency for some greater good by saying, for example, that a city can't dump sewage in a river, it's got to clean it up first. That city becomes less efficient but the river's cleaner. Regulation is a large topic which deserves its own series; this series deals only with regulations that have a direct effect on the economy. Research and development that leads to new knowledge often leads to new businesses which promote economic growth and more tax revenue. When the telephone was first invented, so the legend goes, a member of the British parliament asked an engineer what it was good for. "We don't know yet," the engineer replied, "but I am sure that your lordships will find some way to tax it." The engineer knew exactly how to seduce his political masters. 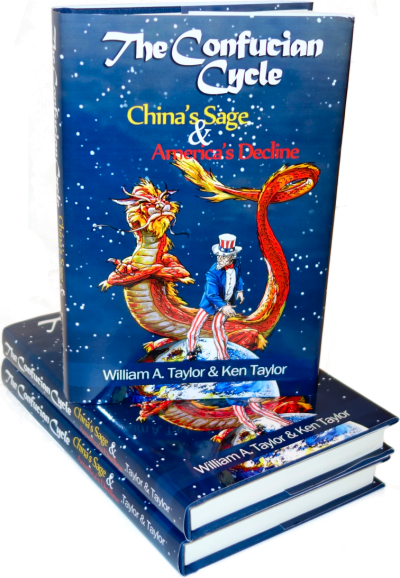 Most economic growth in America over the last half-century was based on technical discoveries made during WWII and immediately afterward to support the Cold War and the Space Program. The first major impetus to the development of integrated circuits was to put computers in missiles to drop rocks down the Kremlin smokestacks, for example. Our government spends more money on R&D now than ever before, but the stream of new technologies emanating therefrom had dried up. We'll explore the reasons why in an upcoming chapter to this series. Our patent and copyright systems are enshrined in our Constitution because even though Adam Smith had not yet written about it, our founders understood the role of greed in boosting the economy. The purpose of the patent system is to increase the payoff from innovation so that greedy people will try to invent things. The Constitution makes it clear that monopolies are bad overall; the only purpose of granting a time-limited monopoly via a patent is so the inventor can make a buck and justify his effort. The article about patents will explore how it works out in practice. One of the more controversial ways to increase or decrease efficiency is through regulation of international trade. Passing laws which determine who can import what into the country has a powerful effect on the economy for good or ill. Like regulation in general, regulation on foreign trading - tariffs, quotas, rules, standards, and so on - is a huge topic, and gets an article in this series. Agricultural policy can be lumped under regulation, but many countries not only regulate agriculture by limiting how much of various crops farmers are allowed to grow, they also put farmers on welfare. Western governments generally subsidize agriculture by paying farmers not to plant, by guaranteeing high prices for crops and paying farmers the difference, by forcing consumers to pay high prices, or by bizarre combinations of all of the above. This article discusses some of the consequences when government gets agriculture policy wrong - the proof is literally in the pudding. Investments in better infrastructure such as transportation, communications, electricity did improve efficiency in the past. We may have reached the point of diminishing returns, however, in that many recent infrastructure projects cost more than they gave back to society. We'll discuss infrastructure in the next article. The point of this series is not to argue that government is stupid, evil, or even just incompetent. The issue with government is that bureaucrats are just like you and me. All of us would like more pay for less work. If we work for a private business, the business will go bankrupt unless the employees work hard to benefit their customers who can buy from someone else if they like. Unfortunately, nobody has figured out a way to make sure that government agencies provide value. Most agencies get a budget increase every year no matter what. With their income covered regardless of what they do, bureaucrats turn their thoughts to finding ways to get bigger budgets and more subordinates so they'll have even less work they have to do. We see this all the time. Building the interstate highway system clearly benefited society. Economic activity increased so much that government received far more in increased taxes than it cost to build the highways. Now that the bureaucracy has become so complex, however, it's harder and harder to build anything on time and on budget unless the government gets out of the way as happened in California after an earthquake. So many highways were knocked out that the government told the builders, "Just fix it." Without having to go through the procurement process and without inspectors hanging around with their palms out, the highways were repaired in record time. We see it in trade regulation where the government pushes up costs for everybody to protect a few well-connected jobs. We see it in product standards which push costs up without providing much benefit. The goal is to make you ask the question, "What are the real benefits, and what will it cost?" The more you know about how earlier government initiatives worked out, the more skeptical you'll become. That's what this series is all about. I'd be interesting in seeing who you think, of all the current GOP candidates, understands and agress with what you are saying here. You have written a lot about government f**k ups. So who do you think is the most anti-bureaucracy in the field? Scragged does not endorse particular candidates for office. However, we have written many articles discussing the views and record of the candidates, and will continue to do so as the campaign season proceeds.